When it comes to ethics, Pakistani media in general has over the years made it a habit to learn only from its mistakes – it has mostly opted for “pay as you go” policy. Pre-emption is hardly a priority. The year 2014 was no different, if not one of the worst in the context of ethics. Some from Geo News TV channel’s hysterical coverage of the vicious attack on its best-known journalist Hamid Mir to coverage of protest marches and political sit-ins left much to be desired. The April 19, 2014, gun attack on Mir seems triggered hitherto latent business rivalries among media groups and TV channels into nasty catcalling and charges and countercharges of treason, setting off a divisive media battle that only became uglier as the months passed. Competing channels used the opportunity to batter the market leader Geo and question Mir’s motives — one station even suggested he engineered the shooting that pumped six bullets in his body as a publicity stunt. His brother, Amir, himself a journalist, accused the ISI and its chief of orchestrating the shooting in an emotional denunciation that was broadcast for several hours live on Geo, often against a backdrop of a photo of ISI chief General Zaheerul Islam. Even staunch ISI critics thought the channel’s specified attacks singling out Islam as the architect were one-sided, rushed and impulsive. Geo News’ entertainment channel Geo Entertainment soon fell found itself embroiled in another serious controversy. Its popular morning show was blemished by accusations of blasphemy. Both channels were ultimately banned for a while and fined punitively. This was a first in Pakistan’s media history. The security establishment covertly made sure that the two channels suffer for whatever they had done by being the official petitioner against them with private broadcast sector regulator PEMRA. Both material and anecdotal evidence indicates Neha is right since the notorious ‘press advice’ of yesteryears is still prevalent but in different shapes and hues. But if completely true, it shows the minute extent to which even next day’s news leads are still decided not in newsrooms but somewhere else. Some senor journalists say that they are still reminded, though politely, that they should not be overcritical of the security establishment. The months-long anti-government protests in Islamabad brought to the fore several more ethical dilemmas for the media. Imran Khan’s Tehreek-Insaf and Tahirul Qadri’s Pakistan Awami Tehreek’s long protest sit-ins in Islamabad and their coverage exposed the media’s political inclinations. Observing the virtually round-the-clock live coverage for months on end, one could easily draw the conclusion which channel was supporting which political party. The channel owners were calling the shots. And the irony became stark that the role of professional editors and journalists became scarce due to their inability to take a stand against the owners. In 2014, television news no doubt widened public debate on several key issues and exposed abuses by authorities and other interest groups, but it also came to face sharp criticism for its patently shoddy reporting more often than not. Most TV channels and current affairs anchors tried to become vested agenda-setters instead of public interest advocates. On August 31, 2014, when supporters of Khan and Qadri had stormed the Parliament’s gates, Mubashar Lucman, an anchor for ARY News TV channel, saluted the army during a live broadcast and invited the military to take over “and save the protesters and the country.” Earlier on August 25, he welcomed the “sound of boots” (a reference to the military), as he had “no sympathy for corrupt politicians who have looted the country.” This was blatant violation of media ethics. Lucman also made repeated unverified claims on live TV that seven protesters had been killed by riot police in the ensuing clash. (It was reported by other news outlets that three people had died, one by accident.) Lucman came out with a number of secret videos showing corruption in the ruling party but hardly did he could prove them in any courts. Because of his questionable one-sided reporting, he though himself ended up facing several defamation cases in courts. Another senior and respected anchorperson took the government’s helicopter facility the next morning of arrival of marchers from Lahore to show their numbers were less than what the organizers had claimed. In an hour-long TV broadcast detailed shots of highways were shown but not for a single time, the anchor mentioned how he got the chopper and of course the footage. TV channels also need to decide how much prime time a politician needs to get. Anchors and editors need to make an informed decision based on a politician’s standing. A prime example is Sheikh Rasheed Ahmed of Awami Mulsim League, a party with only one member (himself) in the Parliament. No doubt he is an old hand at politics and a cheesy talker, but Pakistani audiences don’t deserve to see him on channel every night espousing doomsday scenarios and outlandish and unverified allegations. A keen viewer complained to the regulatory authority PEMRA against him, arguing that Ahmed, who has been a member of National Assembly for at least five times, smokes cigars (even more lethal than cigarettes) throughout his talk shows and feels proud of it. The viewer asked that Ahmed must either strictly be asked NOT to smoke on his public appearances on TV channels or if this is not possible, all TV channels must be advised to display the warning ‘Smoking Kills’ whenever he is shown on TV with a cigar in his hand. This is an example of how audiences can demand a more ethical media. But not all was wrong with the Pakistani media in 2014. A small but significant step came from Dawn newspaper which in keeping with the internationally recognized practice of ethical journalism, in August, it decided to have its own internal ombudsman to be called Dawn Readers’ Editor (DRE). Before this only The Express Tribune newspaper had made an effort to address readers’ concerns through an ombudsman. No other newspaper has so far set up any readers’ complaint address mechanism. The DRE will be the investigating authority to whom all clarifications, contradictions, corrections and complaints will be referred, and it is he who will take note of any alleged violations of Dawn’s code of ethics, which is based on the internationally recognized journalistic values and ethics, and which have always been upheld and guarded by Dawn’s team of media persons. Like in 2014 and earlier, if left to the profit-centered media owners alone, Pakistani media will not become more ethical or professional in 2015. “They don’t take sides on issues with this party or that on principles but for monetary gain or in expectation of gain. Also internal politics are partly responsible. A lot of score settling, as the Mirs of Geo were seen as arrogant and unapproachable. The Lakhanis of Express have a 30-year old grouse against Jang Group and ARY Group can change their policy or people on a single ISI call,” Abbas Nasir says painting a bleak picture. A key challenge in restoring the professionalism of media in 2015 will be to arrive at a unanimous code of conduct for the entire Pakistani media spectrum. 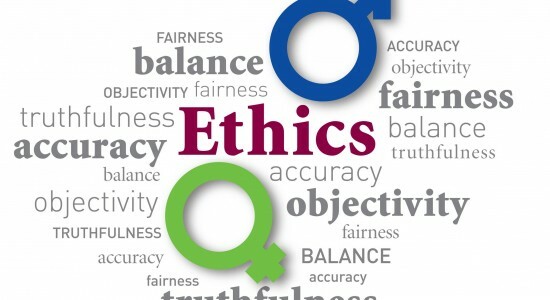 Some media houses individually have a code of ethics but a joint one would create the critical mass of pressure needed to be self-accountable and to create a groundswell of serious ethical reforms in the sector. TV channels are seen as refusing a mechanism that could help them pre-empt and prevent ethical violations. The frustration in framing a media code of ethics was reflected in a remark by Interior Minister Nisar Ali wherein he said: “This [code] might only be completed before Judgment Day. But the government is thinking of devising its own laws to stop media from making militants heroes.” That would not be to the media’s liking, of course. In 2015, the Pakistani media will need to take the lead in self-devising and implementing a mechanism whereby a system of in-house primary accountability is established that can entertain complaints from anyone and everyone to allow for a non-punitive correctional facility. This will obviate the need for extreme measures as the outset by either powerful state institutions or media regulators – as happened in 2015 – and instead make actions by them necessary only when the primary in-house redressal mechanisms fail. The other key ethical challenge for Pakistani media in 2015 will be how to meet the need for qualified, experienced and professional editors to run the all-important editorial side of news channels and much needed in-house training of all editorial staff. Additionally, in 2015, there is a need to organize consumer activism to raise the demand side of ethical and professionalism that can put pressure on media houses to radically tone down sensationalism and hysteria, and the needless despondency engendered by treating anything and everything as breaking news.